Boys like to kick balls around. A lot. 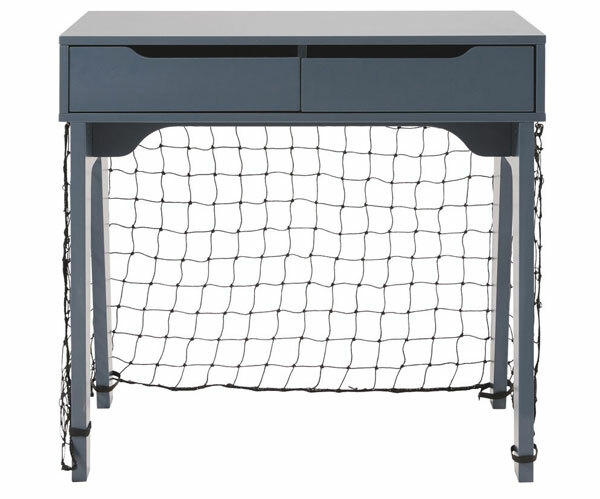 So this Petit Bolide Football Goal Desk for kids might be useful. 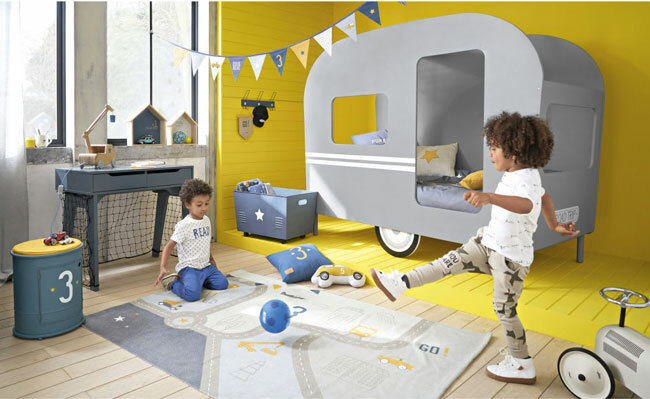 Part of a larger Petit Bolide bedroom range (which you can see in full here), the Football Goal Desk is perhaps one of the quirkiest designs amongst it. Well, actually it isn’t. I featured the vintage-style caravan bed some time back, which was hugely popular at the time. I think that’s probably slightly more leftfield. But this design runs it a close second. I suppose in some ways this is fairly conventional. 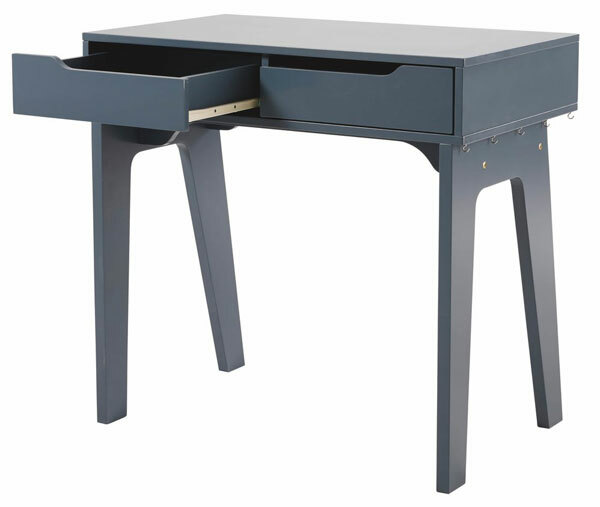 After all, this is a two-drawer desk in grey with a slightly retro shape (especially in terms of the legs). Bit this one has that extra selling point. 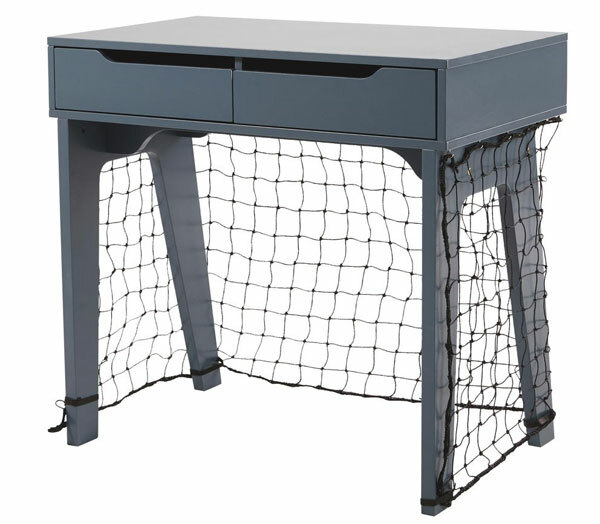 The Petit Bolide Football Goal Desk, as the name suggests, has a removable goal net, with velcro fastenings that attach to the legs. When it’s raining and they want to kick a ball, here is a (compact) ready-made goal that should ease the pain of having to stay in. If the idea of sport and schoolwork combined works for you, this is available for £139.50.